Volvo has officially unveiled its next hybrid vehicle for the mass market at the Geneva Motor Show. 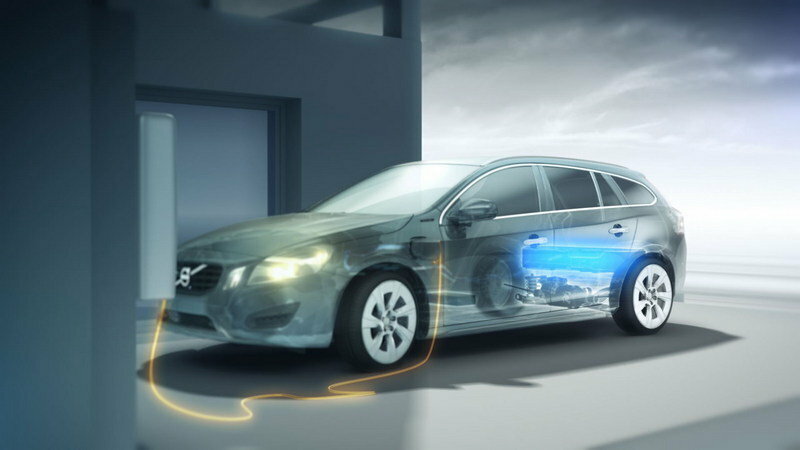 The Volvo V60 Plug-in Hybrid will introduce several new technological innovations that Volvo Car has been developing. Development of the V60 Hybrid has taken place at the same time as the full electric C30 model and with production of that ready to begin, the V60 is not far behind. This new model will be capable of driving 32 miles on full electric power and produce only 49g/km of carbon dioxide emissions. This car features a unique system of a diesel engine powering the car in some situations and the electric motor kicking in for others. Multiple driving modes can be selected by the driver depending of he would rather use full electric power or the two in conjunction – this differs from many hybrids because the car will usually make the decision when to use electric power. In order to develop these technologies quickly and efficiently Volvo formed a partnership with the Swedish energy supplier Vattenfall in 2007 and has been working on plug in technology ever since. "In order to get true car enthusiasts to think green, you have to offer them the opportunity to drive with low carbon dioxide emissions without taking away the adrenaline rush that promotes genuine driving pleasure. 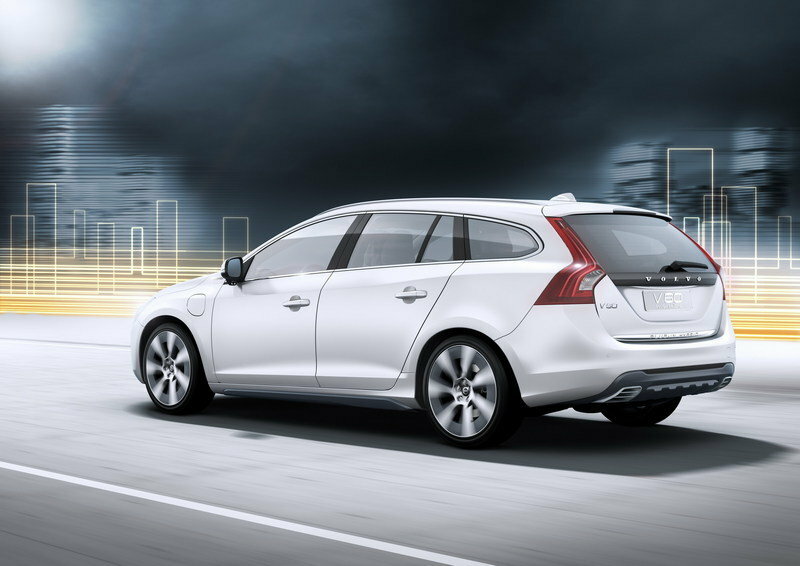 The V60 Plug-inHybrid has all the traditional properties of a genuine sports wagon. What we’ve done is to spice it up with spearhead technology," says Stefan Jacoby. 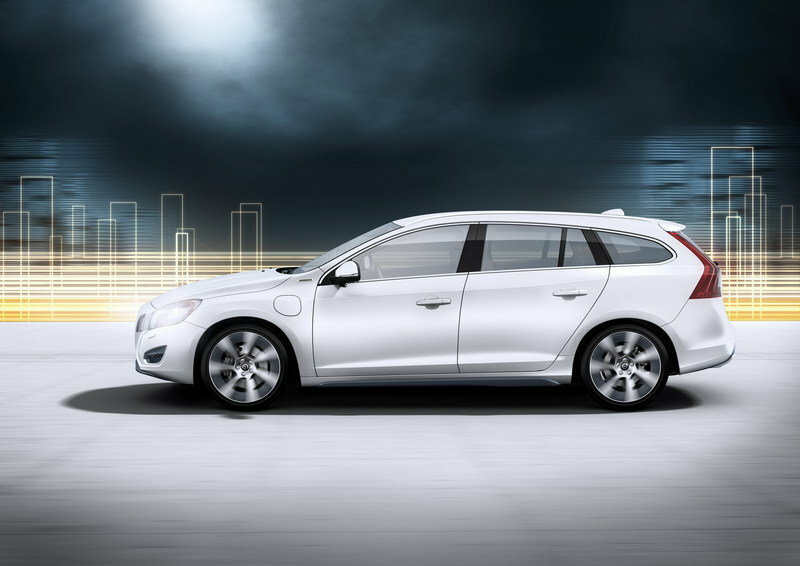 Hit the jump to read more about the Volvo V60 Plug-in Hybrid. 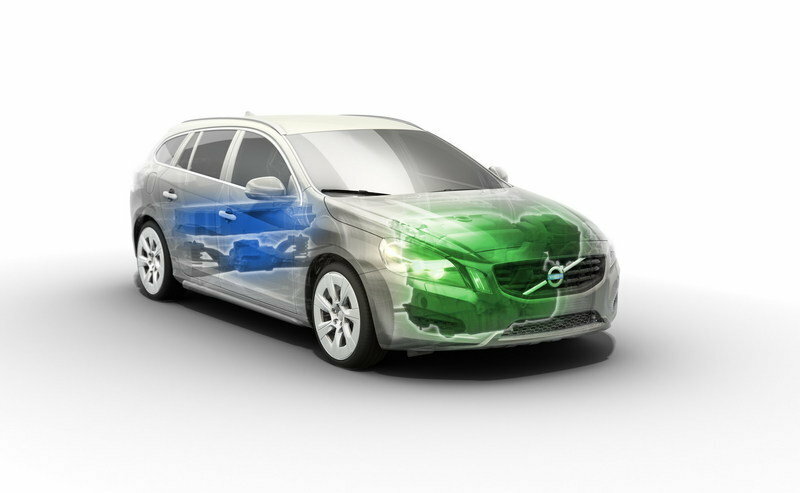 The V60 Plug-in Hybrid is a standard V60 model with a hybrid powertrain. Basically what that means is that you will be looking at a typical V60 with the only changes being on the center console and in the engine. The center console will be the informational "hub" of what is transpiring in the SUV’s hybrid powertrain. This Volvo V60 will be priced lightly higher than a standard version, but the saving in fuel economy may outweigh the initial costs. In order to make the car as efficient as possible, Volvo has included a 2.4-liter inline 5-cylinder diesel motor that powers the front wheels of the car. 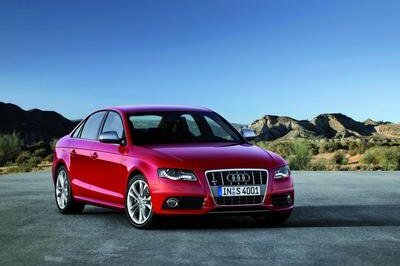 This engine can produce 215hp and 440Nm of torque, giving the small car plenty of power. The major difference comes in the rear end, where an Electric Rear Axle Drive (ERAD) unit gives power to the rear wheels. An electric motor that makes 70hp is given its charge by a 12kWh lithium-ion battery pack. These two systems together combine to make 285hp and 660Nm of torque and a rather quick hybrid acceleration of 0-60mph in 6.9 seconds. The battery itself is very interesting and features several new things not before seen in the way it operates. For starters it can be charged off your home’s typical sockets, this charge at roughly 10amps will take 4.5 hours. In conjunction with the car’s computers, a driver can choose to run in full engine mode and save the battery power. He may want to do this while on the freeway and switch to full electric once he enters a congested city. When the car is in inclement weather an AWD button on the console is capable of turning on both sets of motors to increase traction and control. The computer is capable of managing how much power is sent to each wheel and thus provides the maximum grip and fuel efficiency. Furthermore a driver can input the distance of his journey before leaving and the car will determine the best route and the best use of diesel or electric power to achieve high fuel efficiency. In typical Volvo fashion, safety is a paramount concern. 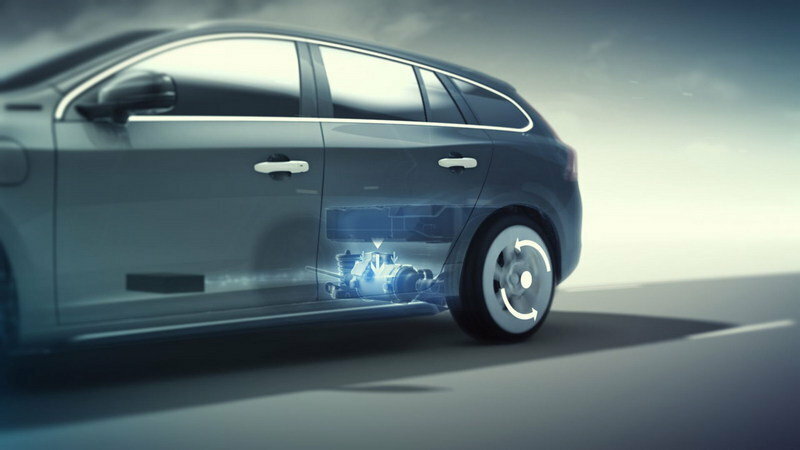 Many people in the industry are concerned about how large battery packs will react after collisions and Volvo has taken it under advisement during development. The battery pack in the V60 will be completely separated from the passenger compartment and encased by extra steel beams in the frame. If the battery were to be damaged in an accident special ducts have been incorporated into the structure to lead the gases out safely under the car. 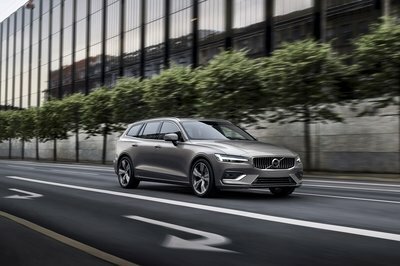 Other safety features including Collision Warning, Full Auto Brake, and City Safety will be standard on the new V60 and intend to keep occupants safe in all conditions. Volvo has said that pricing will be released closer to the 2012 launch date. We look forward to see how this new hybrid measures up against the domestic competition in a future road test. The biggest competitor for the new V60 Plug-in Hybrid is the Toyota Prius Plug-in Hybrid. The Prius gets a lithium-ion battery tat endures a fuel efficiency of at least 55km/l. Charged from an external power source such as a household electrical outlet, it extends the cruising range in electric vehicle mode, maximizing the benefits as an environmentally-considerate vehicle. As the cruising distance as an electric vehicle increases, environmental benefits that surpass those even of the regular Prius can be expected including lower CO2 emissions and air pollution and reduced consumption of fossil fuels. How does it compare to a Chevy Volt? It’s good to hear that this hybrid car will offer their improved fuel deduction and electric range. Thus, it has a lot of safety features, so why not choose this one? It is really a pretty neat looking car, and I love the fact that it is a hybrid car. Tons of safety features that really sounds great and impressive for a hybrid car. The improvement of fuel economy and the electric range is a good thing; I love the fact that it has a lot of safety features plus the exterior design is really stunning at all. Well, the fact that it is a hybrid vehicle expect it already that it has that kind of looks. So neat and very cozy. Anyway, I hope that it could really be reliable for today. It seems that Volvo is really getting into the electric trend that well, they have been releasing a lot of hybrid models lately. Hope that they truly make it big here. This one is actually a good model. And it seems that Volvo is truly getting into the hybrid trend that well, they have released a lot of electric models lately. Hope that they really make it big here. I love the decent and hygienic appearance of it. 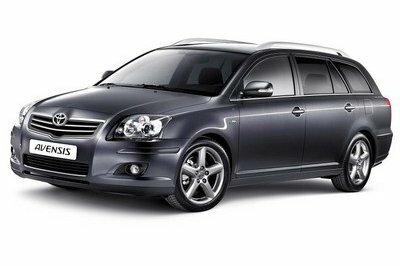 However, I don’t like the fact that it is a hybrid vehicle which is truly so unreliable for these days. Well, I hope that it would also be available with petrol or diesel. I love the fact that it can offer lots of safety features, which are really what every car needed, but just like them, I don’t like the fact that this one is a hybrid or an electric vehicle. I’m impressed with its improved fuel economy, but I don’t like the fact that it was in an electric range and the features of this one is absolutely looking so great and amazing. 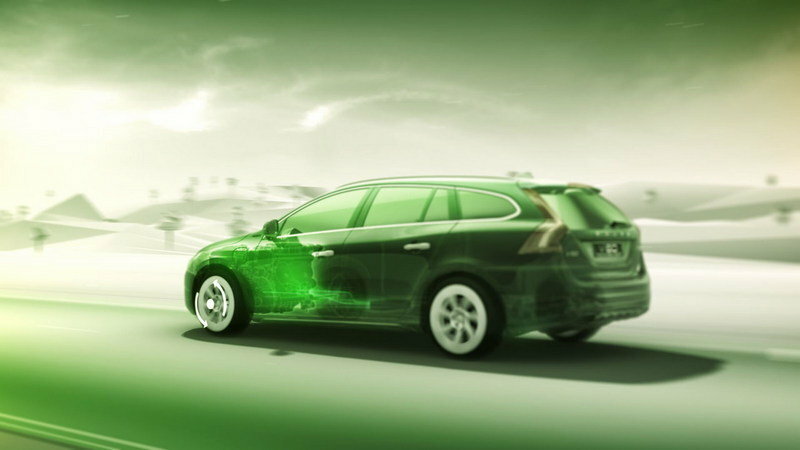 This model V60 Plug-in Hybrid is one of the variant of car that can really compete to other branded cars. 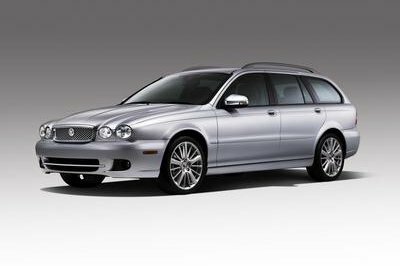 As of the efficiency and benefits I’ll rather go and choice this car. Even getting more benefits, well that what most of us wanted. This Volvo V60 Plug in hybrid seems so clean and a very decent car which I also found so impressive and will stand out among the other hybrid car. It is really a pretty neat looking car, and I love the fact that it is a hybrid car. Tons of safety features that is really sounds great and impressive for a hybrid car. This one is really an eye catcher car! The platform of this car is really well made. The launch date of this V60 Plug in Hybrid is I think really worth waiting for. I love the cool design of this Volvo V60 and the neatness of this car. I’m so impressed with the platform even with its luxurious looks, it is so nice to hear either that it is eco-friendly. Wow. This car has a lot to offer from looks to performance. 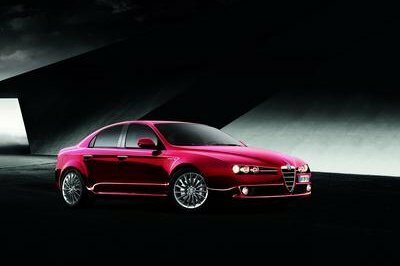 A plug-in that has a luxurious look and a good boost from its two power output. The increased price is normal because of latest upgrades. For all we know, hybrid cars are not about design. It is about the combination of its two power sources. So the design is not a big deal here. We must look how the car works with its engines. It is pretty cool in its color. I love the fact that this is a hybrid car. With its aesthetic design, there’s nothing more I could say for. Well, for me, it is a complete package for a car. This AWD option for the car will gives a more spacious interior! However, I don’t think that this Volvo car would be as good as the Chevy Volt.